Strapped in, buckled, up and ready for another Leroy Moreno-fuelled trip up to the electronic music heavens? Ah, but of course you are! ‘Nova’ follows in the astral trail of ‘Celestia’, ‘Aurora’, ‘Lux’ and his most recent cosmically-tipped number, ‘Cerulean’. Down in its engine room, Leroy powers ‘Nova’ with booming kick-drums, quick-fire snares, sonorous bass and laws-of-physics defying FX & mod-wheel zooms. Higher up the track’s scale meanwhile come welling pads & chords, thrilling strings and nothing less than enchanted piano work. 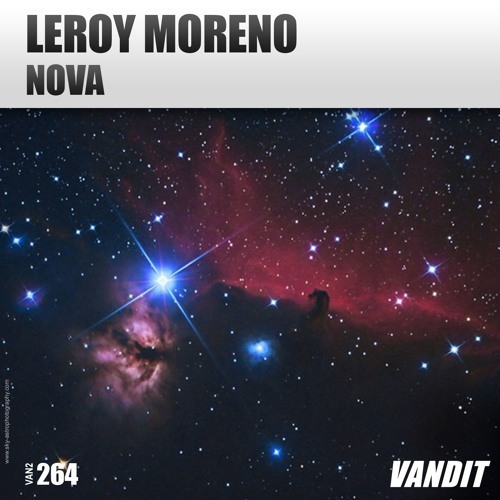 Post break - with ‘Nova’s production throttle now wide open and the stratosphere beckoning, Leroy gives it a final boosts through an altitude-grabbing mainline that’s as every bit as irresistible as it is uplifting! Get yourself some ‘Nova’ here!